Once, in Berlin I picked up the biography of Charlotte Salomon in a second-hand bookshop. I found an artist who inspired me to keep painting my life, and whose technique pointed my work in new directions. This year is the centenary of her birth and I found this article from the New Yorker with news of a film and other events coming up, and a shocking revelation. 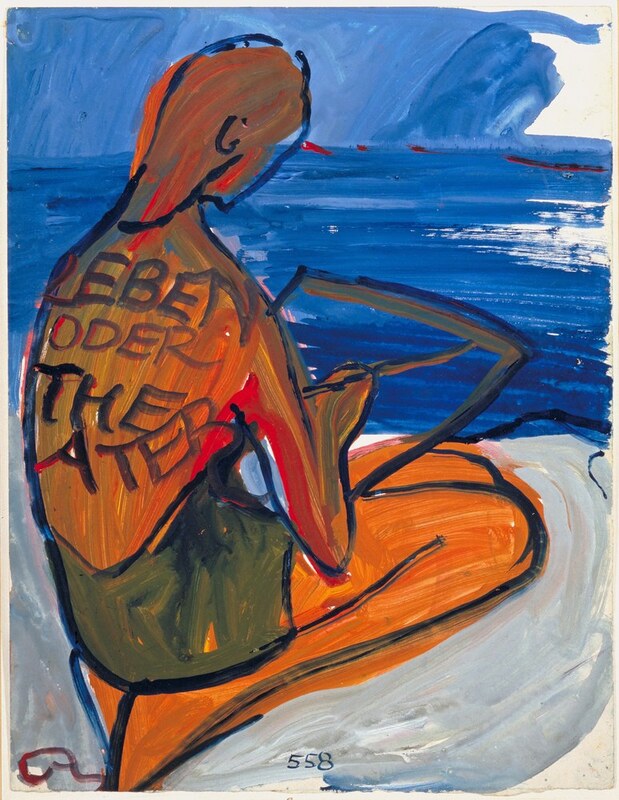 One of the key paintings by Charlotte Salomon in her collection Leben? oder Theater? She escaped from Berlin to the south of France where she made over 1200 gouache paintings. The words were sometimes in the paintings and sometimes added on transparent overlays. It's good to hear that her work will be more widely known. Charlotte Salomon was 26 years old when she was killed at Auschwitz.